It is said that “Life is not measured by the number of breaths we take, but by the moments that take our breath away.” In Life Moments for Women, we meet Kathryn Downing and more than 100 other remarkable women who share pivotal moments in their lives. This book is an intimate collection of women’s voices that teaches us about the healing power of our own stories and how we can use them as a force for worldwide change. Growing up in a dysfunctional family with a stormy, alcoholic father taught Kathryn Downing several important life lessons. As a caregiver for her siblings, she learned to be responsible at a very young age and to take action on behalf of others. "I never really got to be a child. I would just grab my siblings and run out of the house. This had a dual impact on my life. In one sense, I was robbed of my childhood. In another, I learned the importance of caring for others in a very real way." In high school, after Kathryn's mom left her father, Kathryn helped out in the 20-room motel her mom opened. "This was an eye-opening experience for me. I noticed that working as a maid made me invisible. I knew I was still the same person I was just hours earlier when I was at high school, but now as I went from room to room cleaning, I was treated as if I was nothing. This really grounded me in the fact that everyone has the right to dignity, respect, being seen and being recognized. Everybody matters." Perhaps this is why when Kathryn began to climb the corporate ladder and ended up as Publisher, CEO and President of the LA Times, she never forgot the lessons she learned in her childhood. "When I worked in publishing, I would always take time to meet everyone in the entire company. I had so many employees say to me, 'I've worked here for 20, 30 or even 40 years and I've never met the CEO before.' Every single person in a company contributes to the success of that organization whether they are working the mail room or managing a large staff of people. I don't know if I would have had that conviction otherwise." 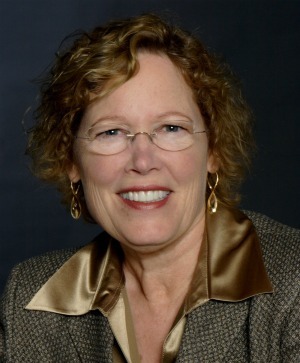 Kathryn first became involved with the Women's Foundation of California through her work at the LA Times. A perfect fit for Kathryn's altruistic sensibilities, the Foundation has been a relentless advocate for social change for over 30 years, using strategic grant making to give women a voice and create public policies that support their health, safety, economic and environmental rights. "We fund small grass roots organizations and we fund at the community level. Ninety-six percent of our funding goes into funding people of color in the lowest socioeconomic communities. What we've found is that there is fabulous talent and capabilities in these communities. We believe that people on the ground are the ones who need to be involved in building change." 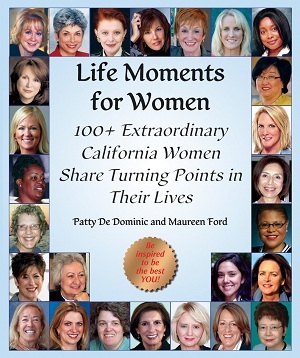 When Kathryn was approached by Maureen Ford and Patty DeDominic to be part of Life Moments for Women, she was delighted. "Life Moments for Women is so powerful because when we share our stories, we realize that we are not alone. As you thumb through the book, you get the clear and intimate perspective of the common bond we all share. You know that someone else has been through what you've been through, or what you are struggling with at this very moment in time. What's more? All the proceeds of the book are being donated to the Women's Foundation of California up to $1,000,000 -- so the book will continue to make a significant impact in the lives of girls and women for years to come." Empower yourself or someone you love with this extraordinary book, Life Moments for Women, and give a gift that keeps on giving. Visit Life Moments for Women to learn more.